The shift toward digital media consumption just got even more real. Last Thursday, Amazon reported that after only four years of selling ebooks, it's now selling more ebooks than printed books . And this doesn't even include the free ebooks Amazon distributes! Add those to the mix, and you'd have even more compelling stats. According to Amazon, whose ebook sales account for approximately two-thirds of America's total ebook sales (talk about a nice sample size! ), the retailer has sold 105 ebooks for every 100 printed books (which includes both paperback and hardcover). 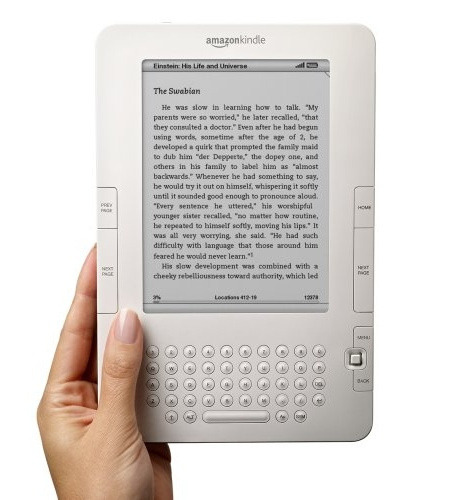 In addition, Amazon is now selling three times more ebooks than it did one year ago. If you weren't yet convinced of the importance and speed at which this shift toward digital consumption is catching on, Amazon's new revelation should help. As people's consumption habits change, marketers must be nimble enough to change along with them. Consumers are increasingly moving toward digital consumption, using devices such as the Kindle, the NOOK, and other digital book readers for viewing content. This means marketers today must be able to satisfy consumers' need for multimedia, digital content. Moreover, marketers must be mindful that when they are creating a complete digital content strategy, the content they create must not only be fresh but also be consumable beyond the standard desktop computer or laptop. Whether its checking email or accessing websites on a smartphone or reading ebooks on a Kindle, people are consuming content on the go and taking advantage of various mobile technologies more and more every day. They're accessing information on different digital devices and living in an increasingly paperless world, and marketers must be able to adapt their content strategy to satisfy all these types of screens. How are you adapting your content strategies to accommodate digital media and content consumption?